NC Life Media, LLC. produces many great services and products to help you promote your business. 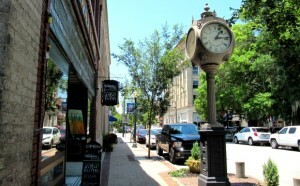 NC Life Media offers NewBernNow.com, the Ledger Magazine, and Discover New Bern and Beyond a popular bi-weekly Podcast. We offer our advertisers exposure on our popular website, in our Ledger magazine which serves the Greater New Bern area and on the radio via our fun and informative hyperlocal podcast Living in New Bern and Beyond. 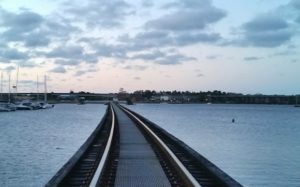 Our goal at NC Life Media is to promote New Bern, NC, as the region’s premier destination for arts, history, outdoor recreation, dining, shopping, and living. 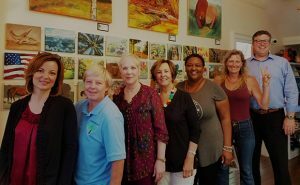 As the “One Stop, Information Shop”, readers turn to us for an insider’s look at the people, places, and events throughout the Greater New Bern area. Why advertise with NC Life Media, LLC? We can promote your business or non-profit in ways that are unmatched by others via our website, podcast, and magazine. Offering a trio of media options, our team can help increase your exposure, ultimately enhancing your brand! 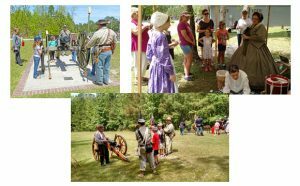 – NewBernNow.com is an online destination for residents and tourists alike. We publish articles, photos, videos, and share them in our daily email and on our social media platforms; reaching over 48,614 viewers per month and growing. We feature more than 4,800 articles and pages; it’s a search engine for New Bern and surrounding areas. When we feature your business or nonprofit, it improves your local search positioning on the Internet. – The Ledger Magazine provides valuable content to our readers, reaching over 28,123 quarterly readerships. Our products offer more content coverage than ads, so when you advertise with us, your ad will stand out compared to other magazines that readers have to flip thru pages of ads trying to get to the content! – Living in New Bern and Beyond Podcast is a biweekly show with community segments being aired on New Bern’s News Talk Radio, WNOS 107.5FM and 1450AM. Our Pod Squad talks about the many great things that are happening in and around town. This reaches approximately 3,568 listeners per episode. – We connect readers, online followers, and listeners to what our great city has to offer. By advertising with NC Life Media, LLC, your brand or story become associated with a trusted community brand. We Value Our Supporters Too! We understand that not every business needs to advertise. Nor does every business have an allotted budget for advertising. Here at NC Life Media, we want to make sure everyone gets bragging rights. 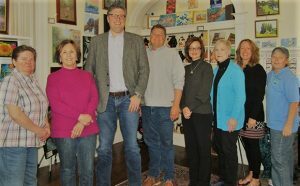 So if you do have a business nonprofit or a website to share with others, wish to be seen on our pages and in our banner on www.newbernnow.com, plus talked about on an upcoming podcast, you can become a supporter for one year. The cost is $180 for each business and $130 for any nonprofit. Your brand will be talked about for one minute during the broadcast and mentioned in the thank you segment at the end. Let us make a big deal out of you, sponsor one show or all of them. Is there a segment of the podcast that you love? You can be the sponsor your favorite segment We will mention your business as the supporter of the segment, with a 15 seconds spot at the opening of the segment. 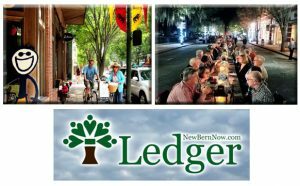 The Ledger is delivered year-round throughout the Greater New Bern area, from Downtown, Uptown, Around Town, Fairfield Harbour, River Bend, Carolina Colours, Havelock, and beyond! You can find it in Doctor and Dentist Offices, Libraries, Pharmacies, Hair Salons, Cafes, Pubs, and Restaurants, Boutiques and Shops, Veterinarian Offices, Chamber of Commerce and Visitors Center, NC History Center at Tryon Palace, New Bern Historical Society, Pet Boarding locations and Groomers, Auto Repair waiting rooms, Hotels and Bed & Breakfasts, at the Airport, and the list goes on. Community Sponsorship NC Life Media offers two special community sponsorship opportunities each year so that large, local companies can be our anchor advertisers in the community. Our Community Sponsors will be mentioned every step of the way and their investments will be used to help grow NC Life Media so to offer more advertising platforms and community promotion opportunities for businesses in the surrounding area. Our Community Sponsors will be included in our banner events and hashtagged on all social media sites. Their full-page ads will be in Ledger Magazine and they will be mentioned throughout our podcast productions. Our Community Sponsor will be a special guest in the studio for two podcasts each year and they will be offered a large banner ad on the website. Corporate Sponsorship NC Life Media seeks the sponsorship of one local car dealership for a two-year advertising term which will include your advertisement on our vehicles as well as being the main banner supporter of our website. You will be hashtagged and talked about along the journey. Your investment will be used for business development and most of it will be spent on your products which we will be seen driving around New Bern and the rest of the state. Our Marketing Director at NC Life Media is Tracey Stones, who publishes a blog that covers live music events happening in New Bern and around the state. From the Mountains to the Coast your product will be seen and mentioned, as your company will be included as a title Sponsor for www.ncmz.live also. Stones makes several appearances on the radio shows around the state and attends many popular events. This will be an added value for our Corporate Sponsor who will also be added as the Title Sponsor for the music site that serves the state. If you are ready to invest in advertising your business, we are ready to sit down and create a tactical marketing plan with your advertising budget. Our Marketing Director, Tracey Stones will take the time to talk to you about your business so to create the best plan for marketing it with our products. For more information about advertising, or to make an appointment please contact the Marketing Director, Tracey Stones, tracey@nclifemedia.com; 318-789-6929. Presented by NC Life Media, LLC. Please make checks payable to NC Life Media.